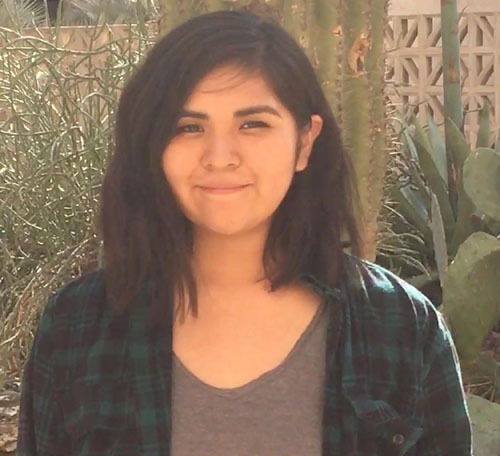 A-dae Romero-Briones, First Nations’ Director of Programs for Native Agriculture and Food Systems, recently presented via the internet about agriculture in Indian Country as part of a distance learning session for Arizona State University graduate and undergraduate students. The class is about contemporary American Indian issues, and A-dae spoke about how food is closely and culturally tied to identity in many American Indian communities. As an assignment, the students were asked to write their reflections. One of them, from ASU student Tyla Kanteena, was a poem. “I feel that Tyla’s poem speaks to what we do at First Nations, because we are trying to ensure the perpetuation of tribal nationhood, and our most important partners are those folks in tribal communities all across the country who ensure their communities remain tied to their identities.” A-dae noted. “We are working on more than just getting additional money to Indian Country. We are trying to support people like Tyla who are tied to their people, but on the pathway of forging solutions for their own people – on their own terms. Tyla’s journey begins with her daily greeting to Ho’n A;wan Yadokkya Datchu. to greet Ho’n A;wan Yadokkya Datchu. to greet Ho’n A:wan Yadokkya Datchu. Beautiful poem! Keep that self expression going! Truly Awesome work!!!! what a beautiful poem about a beautiful people.. i hope you teach your culture to multiple next generations……. we must preserve our values…….